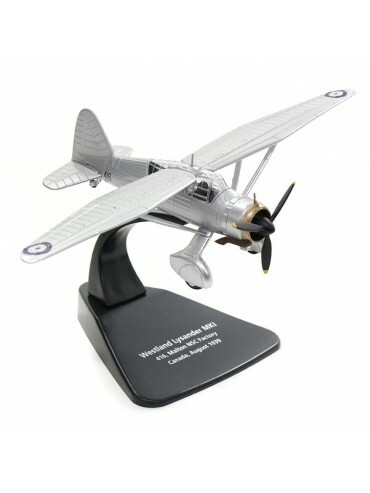 A 1:72 scale model of a Westland Lysander Mk I (The "Lizzie") - A British army co-operation and liaison aircraft used immediately before and during the Second World War. 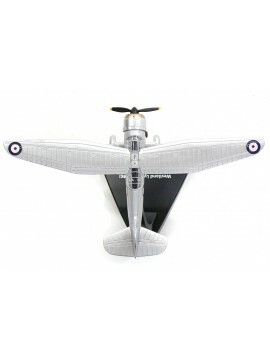 Operated primarily by the Royal Air Force and the Royal Canadian Air Force. 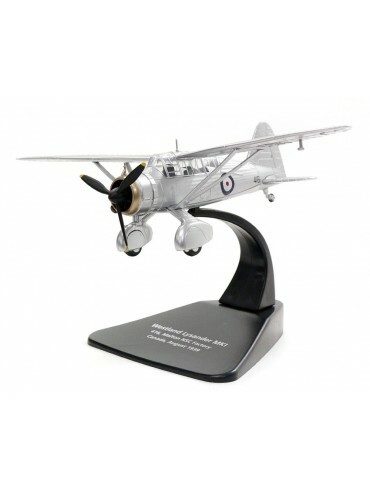 A 1:72 metal diecast scale model of the 1976 RAF Westland Whirlwind - A British license-built version of the U.S. Sikorsky S-55/H-19 Chickasaw, primarily served with the Royal Navy in anti-submarine and search and rescue missions. A 1/72 scale diecast model of a British Westland Wessex HU5 - A British-built turbine-powered development of the Sikorsky H-34. The Wessex was the first large mass-produced helicopter designed around use of a gas turbine engine. 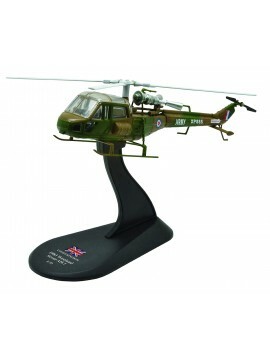 A 1/72 scale diecast model of a British Westland Puma HC Mk 1 - A four-bladed, twin-engined medium transport/utility helicopter, derived from the famous Aerospatiale SA 330 Puma. 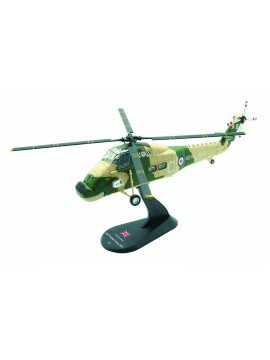 A 1/72 scale diecast model of a British Westland Scout AH.1 - A light helicopter developed from the Saro P.531 - serving as a land-based general purpose military helicopter. 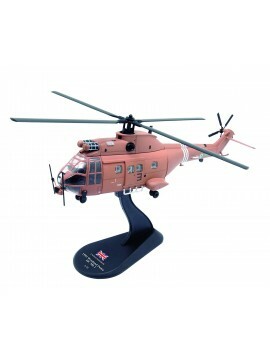 A 1/72 scale diecast model of a British Westland Lynx AH.7 - A British multi-purpose twin-engined military helicopter, upgraded variant with Gem 41-1 engines and uprated gearbox, along with a new and larger composite tail rotor. 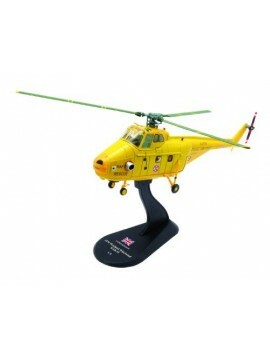 A 1/72 scale diecast model of a British Westland WS-61 Sea King HC.4 - A British license-built version of the American Sikorsky S-61 helicopter. 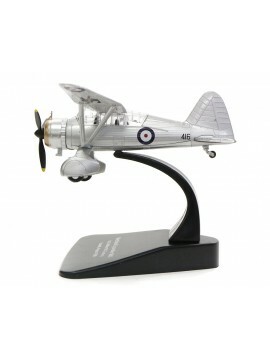 Differences include Rolls-Royce Gnome engines, British-made anti-submarine warfare systems and a fully computerised flight control system.